Just a Girl and her KitchenAid: Poached Eggs in Clingfilm! I am so so excited about this! 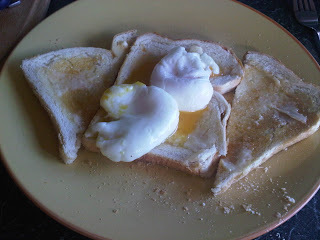 I feel like I have made it to poached egg heaven! I know what you mean! I always worry when I see chef's on tv wrapping chicken in clingfilm and then boil it. It seems wrong! Boiling chicken is wrong full stop, and that's before we wrap it in clingfilm!